Getting ready for the weekend? 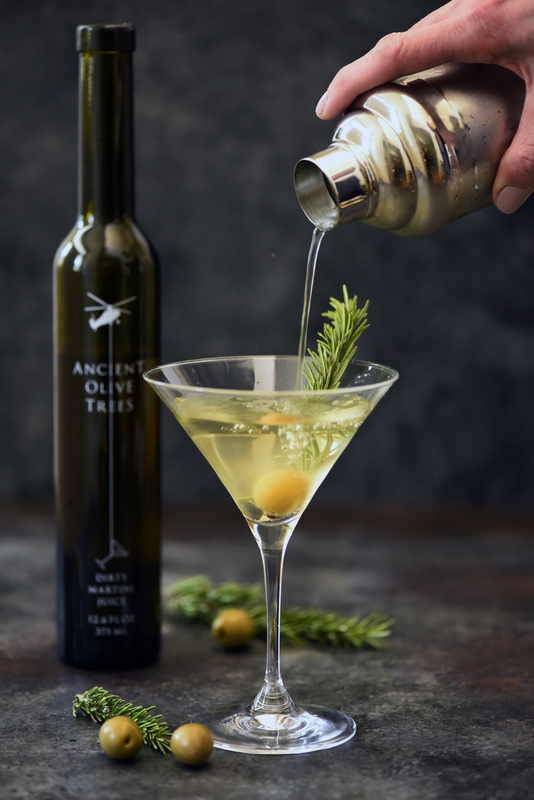 We've partnered with Ancient Olive Trees to show you just how easy it is to mix up the perfect martini with their Dirty Martini Juice. Infused with high-quality olives, the juice is made in aging barrels, triple-filtered, and then packaged in an elegant, dark glass bottle to protect from light exposure. We've added a simple rosemary infused vodka to complement the richness of the olives. Infuse a large bottle, let sit for a few days, and enjoy in cocktails for weeks to come. We can't think of a classier way to enjoy a Dirty Martini! Place 2-3 rosemary stalks in a jar. Cover with vokda, secure jar tightly and let infuse for a few days. When ready to use, drain the vodka into a separate jar. Store in an airtight container for up to a few months. Pour vodka and Ancient Olive Trees Dirty Martini Juice into a cocktail shaker filled with ice. Shake vigorously and pour into a chilled martini glass. Garnish with olives & rosemary.